Last Saturday, something was amiss at Asgard. At exactly 08:00 PM on 10 August, 2013, Lovers flocked in droves to one of Victoria Court Malate’s most magnificent themed rooms, Asgard. The Thor-inspired offering—a palatial two-floor suite, decked to the nines with intricate gold finishes and illuminated at every turn with lush mood light—played host to one of the most exciting events at just a stone’s throw away from the LoveYourself Hub. The occasion? TLY Connect, a mixer organized by the LoveYourself Events committee with a distinctly LoveYourself flavor. Advertised internally as having “no agenda, just fun and excitement”, it was exactly the breather that the Lovers had been looking forward to, some even having come from the furthest reaches of the metro to be able to “mix, match and be merry” that night. The Events committee certainly did not disappoint: a potluck ensured food, drinks and “drinks” aplenty, and a packed karaoke catalogue led to round after round of diva and OPM hits—the energy stayed at fever pitch well into the night. But it was about to get even hotter. As the program for the evening kicked off, the Lovers were ushered into the upstairs bedroom—a large circular chamber with an elevated mattress in the center—the lights dimmed and five talented Lovers took to the stage, donning in turns their civilian clothes and Norse drag, to vie for the title of King Connect 2013. None other than Erimar Ortigas, a top ten finalist at the recently-held Mr. 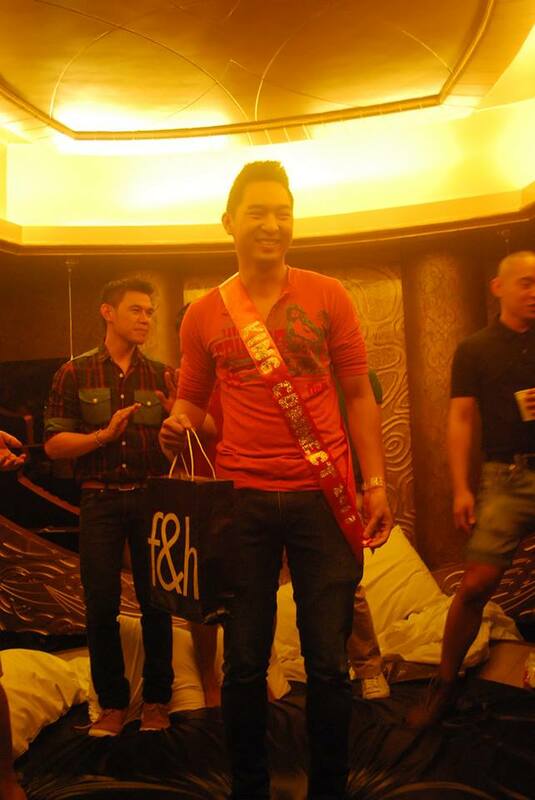 Gay World 2013 pageant in Belgium, claimed the title, taking home a Folded & Hung gift bag. As if that wasn’t sizzle enough, the event was further graced by gentlemen from Bayleaf Spa, who rocked the evening with their performances. The merry-making lasted into the wee hours of Sunday, with more food, drinks and singing. For the Lovers, TLY Connect was very welcome respite from a busy month that will culminate in LoveYourself Quickie: One Night Only, a large-scale mass testing event at 05:00 PM – 01:00 AM this coming 23 August, 2013 (Friday) at the Makati Friendship Suites. Let's have a Quickie and meet the LoveYourself Lovers. Register at http://go.LoveYourself.ph/QUICKIE.